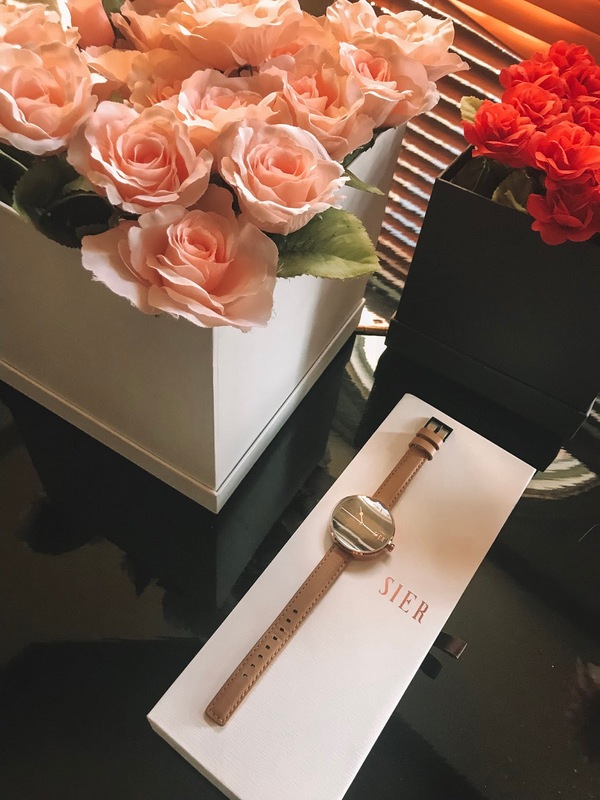 If you’ve been looking for a watch to rock this Spring, then look no further. 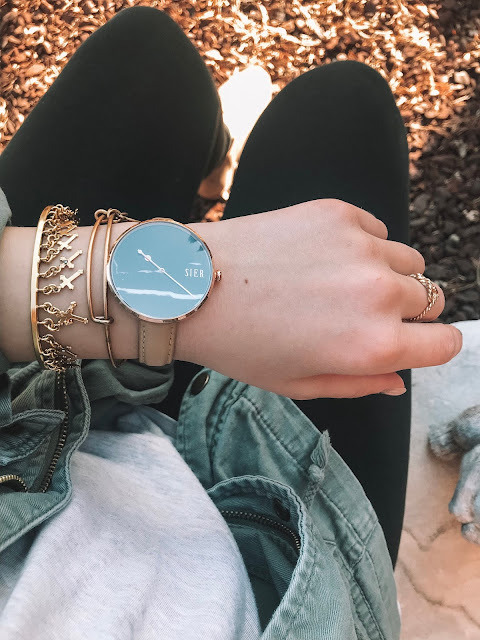 I’m so excited to introduce to you Jord Watches, a sustainable and eco friendly brand that I was recently introduced to! Jord (pronounced Yode) is based in St. Louis, where they are constantly developing new designs. The watches are a sophisticated mix of natural and largely re-claimed materials, combined with quality movements and components. The thing I love most about this brand is how every one of their pieces is versatile. 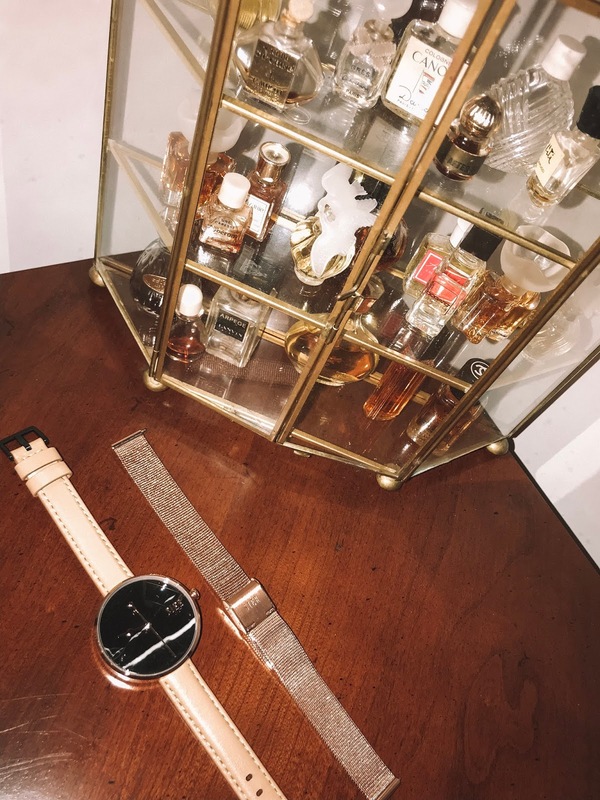 Their minimalist designs make it easy for anyone to find the perfect watch for their style. I chose the Arcadia Rose Gold & Black Marquina Marble. 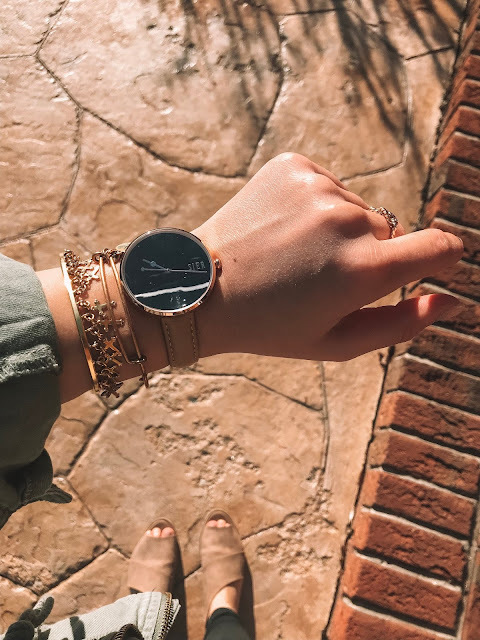 This watch comes with a second band, completely changing the look of the piece, if desired. I kept the leather band on so that I am able to wear it every day to work, but I love knowing I have the option of the metal mesh band to switch it out with. It also stands out because compared to other watches that I have seen, this watch stands out to me in terms of quality, craftsmanship, and style. I’ve teamed up with this awesome brand by hosting a giveaway for all of my amazing readers and followers! Click here to enter a giveaway you won’t want to miss! See below for customer FAQs and fun facts! - Most watch backplates can be engraved! All Cedar humidor presentation boxes are engravable, as well! - The watches may be sized for the recipient. - Most watches have additional options for customization -- mixing and matching faces and woods! - Every watch comes with a one year warranty and options for return & exchange. - Free worldwide standard shippping!